Tell everyone about the games that you are dying to see produced. 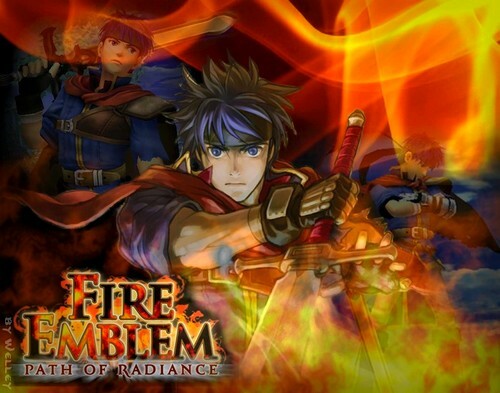 I wish they would do some fire emblem games on the ps3, because I don't have a wii and the games are so cool. I think i'm gonna go a lot more at my cousin's house to play the game. I played Fire Emblem for the GBA. I spent alot of hours on that thing. I really do wish that a smash bro esque game would be created starring many popular characters from various anime and games. There's not a doubt in my mind that they wouldn 't make big money off of that. Yeah that would be cool, but they could not take some of the popular, like Light of Lelouch...well Lelouch they could in a way but not light. Another Powerstone title. That's what I really want to see. Has anyone ever played it?